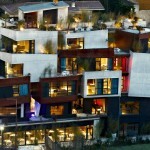 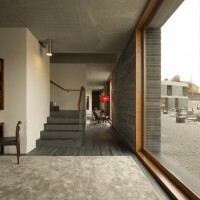 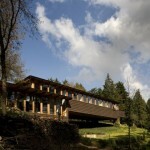 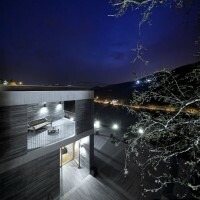 Guedes + DeCampos have designed the Quinta Do Vallado Winery Hotel in Vilarinho dos Freires, Peso da Régua, Portugal. 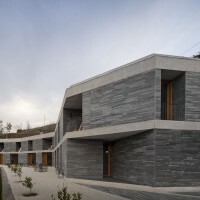 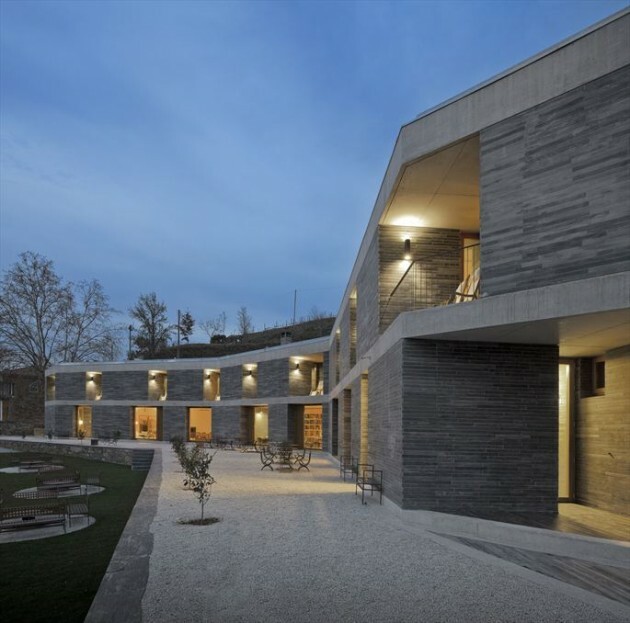 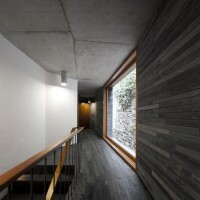 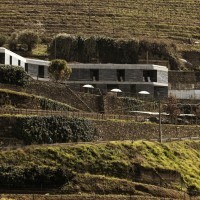 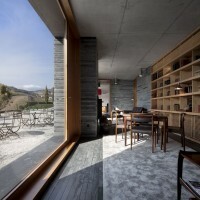 The project for the new Rural Hotel at Quinta do Vallado fits, as it was proposed for the new winery, in a strategy that balances the need for expansion of the facilities of Quinta do Vallado with the correct integration into the landscape so that the solution, as a whole, has a minimal impact. 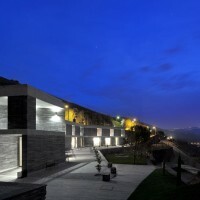 The two strands linked to wine – production and leisure – are addressed in a single project with a distinctive and contemporary language. 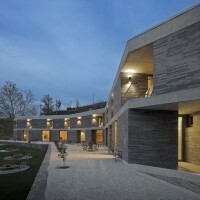 Given the strong impact of the surrounding landscape, characterized by a natural architecture that gives the area a singular character – World Heritage – the resort hotel project focuses on solving the insertion of a new volume conditioned by a long and impressive wall in shale, which draws a sharp curve on the ground. 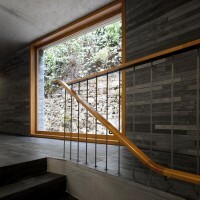 On this relationship, between what exists and what does not exist, lies the tension of the project, confrontational relationship between two realities, between two geometries, between two times. 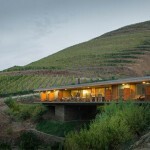 The program of the wine tourism hotel defines a great restraint, both spatial and formal. 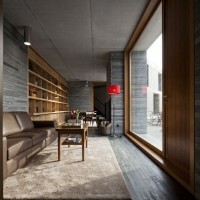 The spaces are drawn in function of the uses, of the light, of the sights and, and above all, the well-being. 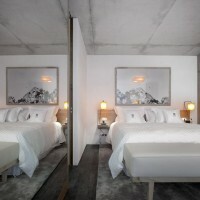 The hotel decor enhances the local tradition and family heritage of its owners – descendants of the legendary D. Antonia Adelaide Ferreira, “Ferreirinha” – through photographs and sculptures made by the family. 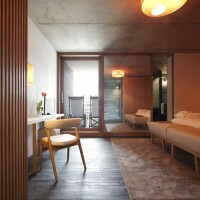 Similarly the names of the rooms relate to the names of land ownership. 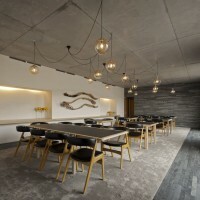 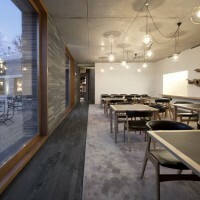 Of the construction, the materials in the raw – concrete and slate – fix the geometry and appeal to the sensory qualities of its surfaces, becoming the synthesis and the theme of this new hotel, completed in March of 2012. 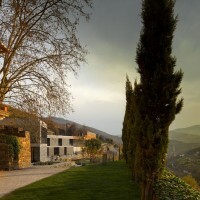 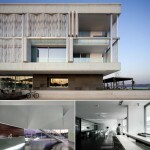 Visit the Guedes + DeCampos website – here.